Preservation • Keepers hope the birds will mate, produce a chick. Trent Nelson | The Salt Lake Tribune The bird aviary in Draper's Loveland Living Planet Aquarium's Journey to South America exhibit has doubled in size, giving two new bird residents, Keel-billed toucans, an opportunity to breed. Friday June 30, 2017. Trent Nelson | The Salt Lake Tribune The bird aviary in Draper's Loveland Living Planet Aquarium's Journey to South America exhibit has doubled in size, giving two new bird residents, Keel-billed toucans, an opportunity to breed. Friday June 30, 2017. 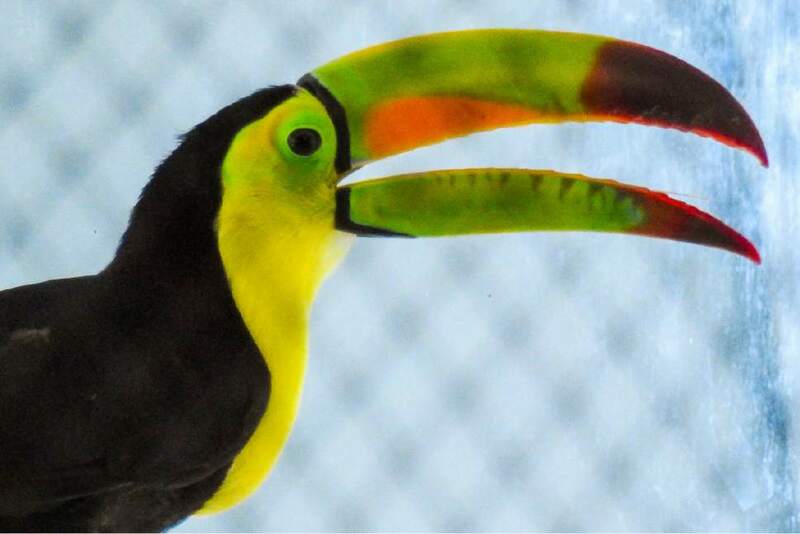 Trent Nelson | The Salt Lake Tribune The bird aviary in Draper's Loveland Living Planet Aquarium's Journey to South America exhibit has doubled in size, giving two new bird residents, Keel-billed toucans, an opportunity to breed. Friday June 30, 2017. Trent Nelson | The Salt Lake Tribune The bird aviary in Draper's Loveland Living Planet Aquarium's Journey to South America exhibit has doubled in size, giving two new bird residents, Keel-billed toucans, an opportunity to breed. Friday June 30, 2017. Trent Nelson | The Salt Lake Tribune The bird aviary in Draper's Loveland Living Planet Aquarium's Journey to South America exhibit has doubled in size, giving two new bird residents, Keel-billed toucans, an opportunity to breed. Trent Nelson | The Salt Lake Tribune The bird aviary in Draper's Loveland Living Planet Aquarium's Journey to South America exhibit has doubled in size, giving two new bird residents, Keel-billed toucans, an opportunity to breed. Friday June 30, 2017. Trent Nelson | The Salt Lake Tribune The bird aviary in Draper's Loveland Living Planet Aquarium's Journey to South America exhibit has doubled in size, giving two new bird residents, Keel-billed toucans, an opportunity to breed. Friday June 30, 2017. 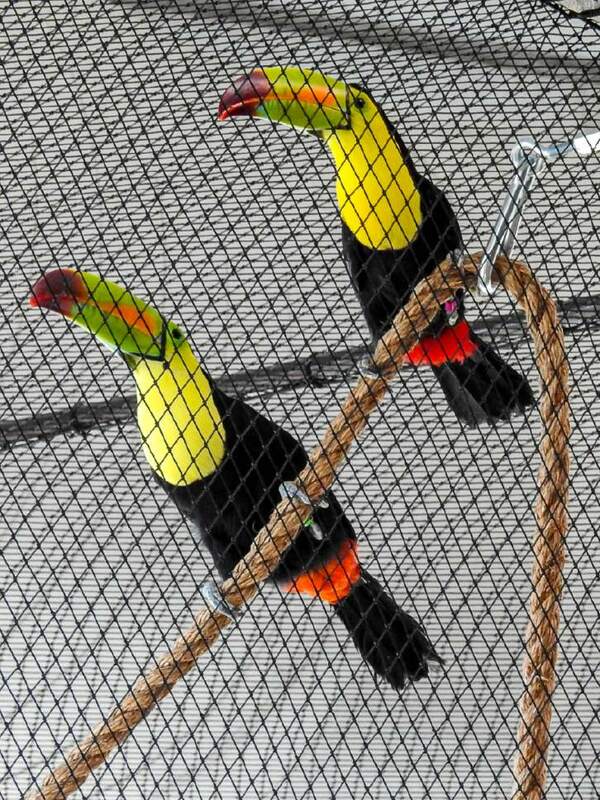 Draper • Loveland Living Planet Aquarium is playing matchmaker to a couple of keel-billed toucans. And less than an hour after the birds were moved into their new love shack Friday, director of zoological operations Steve Vogel liked what he saw. The colorful birds&apos; chatter had slowed, suggesting to Vogel they were less nervous as they became acquainted with an expanded aviary whose highest reaches now extend 24 feet above the ground. 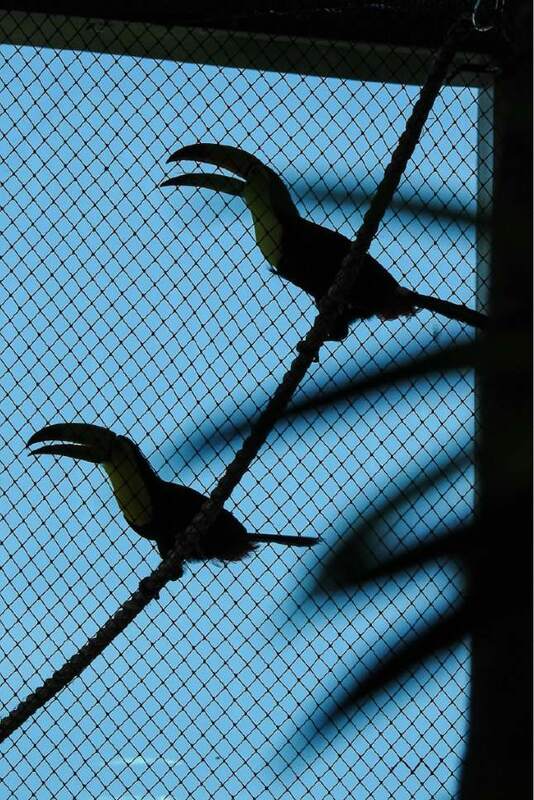 An elevation like that, Vogel said, improves prospects that the male and female toucans will mate and produce a chick, satisfying the aquarium&apos;s primary goal of participating in a "species survival plan" administered by the Association of Zoos and Aquariums (AZA). 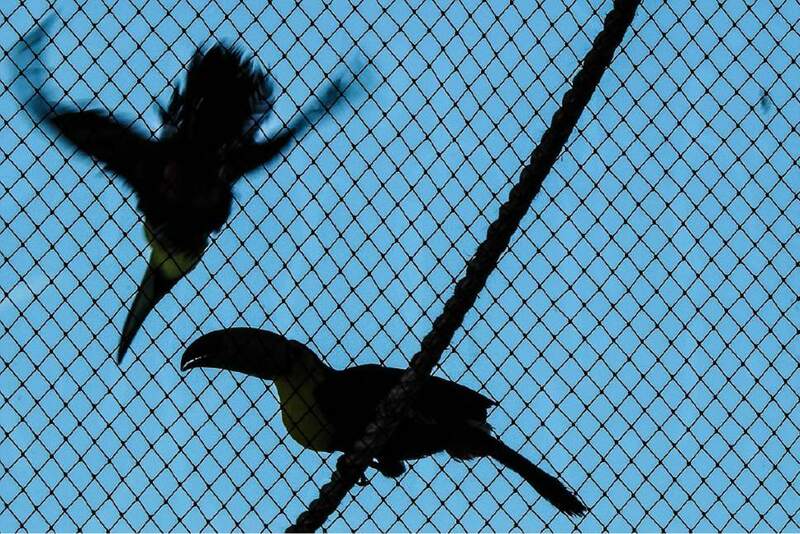 "The biology of birds in the wild is well known, but it&apos;s not so well understood in captivity, where we control some of the elements," Vogel said, noting that wild toucans generally mate annually. "I&apos;d be happy if I got [chicks] every other year," he said, quickly adding, "Actually, I&apos;d be ecstatic if I get one." Aquarium spokeswoman Shelby Dobson said the Draper facility, which is seeking AZA accreditation, sees the aviary as a complement to its water-oriented exhibits. "We showcase ecosystems," she said. "We want our visitors to see not only what you might find in water but also what&apos;s on the land and in the trees. Everything relies on every other living thing. We don&apos;t want to limit ourselves to fish and aquatic species." For example, the aquarium has two clouded leopards on display, Koshi and Rhu, who are part of another species survival effort, Dobson said. It will have exhibits later this year on butterflies and bees. 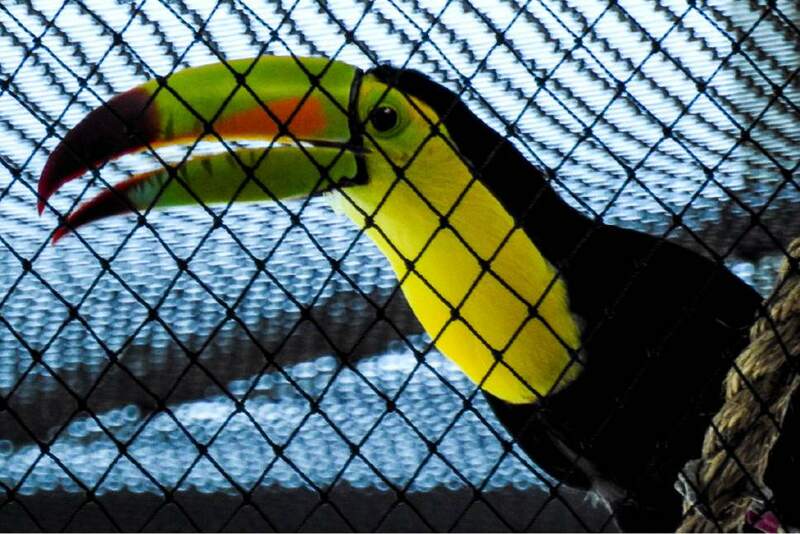 On Friday, the two unnamed toucans were released into a pen whose stainless-steel mesh netting had been raised from 10 to 24 feet, as close to the aquarium&apos;s ceiling as it could go. Natural light from a giant bay window along its south side filled the pen. Ropes an inch in diameter are strung at angles from one net wall to another. A large hibiscus tree fills one side of the pen, towering over several smaller trees on the other side. "We wanted to give [the toucans] a variety of textures to move around on," said Ari Robinson, the aquarium&apos;s director of creative designs and exhibits. "Tree branches are pretty steady when they land on them; the ropes sway more. ... They&apos;re very intelligent animals so we make it as enriching as possible." At first, the toucans started chattering very fast and in low tones. While not wanting to assign too many human characteristics to them, Vogel likened their behavior to children entering unfamiliar terrain and saying, "I&apos;m here. I&apos;m nervous. Something&apos;s not right." But within 10 minutes, the birds were making short jumps from one rope to another, or over to a branch. Periodically, they&apos;d make little circle flights before landing on a new spot. "They were exploring their space, finding out where they were comfortable," Vogel said, observing that the birds&apos; chatter slowed and grew louder as time passed. "They&apos;re maneuvering the exhibit well. That&apos;s what I&apos;m looking for." The birds may not hit it off, he cautions. "I&apos;m not going to promise they&apos;ll breed." Aquarium personnel soon will try to inspire the birds by erecting nest boxes high in the pen. They&apos;re also installing cameras in the boxes so they can witness the birds sitting on eggs from a successful mating. Aquarium hours are 10 a.m. to 6 p.m. daily, except Mondays, when it stays open until 8 p.m. Tickets are $20 for adults, $17 for teens, military, students and seniors, and $15 for children. Toddlers 2 and under are free. Besides admission fees, the aquarium has received $2.8 million from Salt Lake County&apos;s Zoo, Arts and Parks (ZAP) tax since 2007, county records show.